We are pleased that our life insurance fund, Ress Life Investments delivered a strong net performance of 9.9% in US dollars during a challenging year. The fund was the fourth best performing constituent fund in the Nordic Hedge Index (NHX). The net return during December 2018 was 0.15% in US dollars. During the last five years the annual net return has been 6% in US dollars. Performance during the year was mainly driven by life insurance policies paying out. Ress Life Investments collected 10.3 million US dollars in proceeds from insurance companies during the year. Ress Life Investments owns over 210 life insurance policies which are issued by approx. 50 highly rated US life insurance companies. Assets under management is approximately USD 117 million. Last year has shown that the secondary market for US life insurance policies provides attractive returns even during uncertain market conditions. We purchase new policies at high expected returns and are positive about the outlook for 2019. 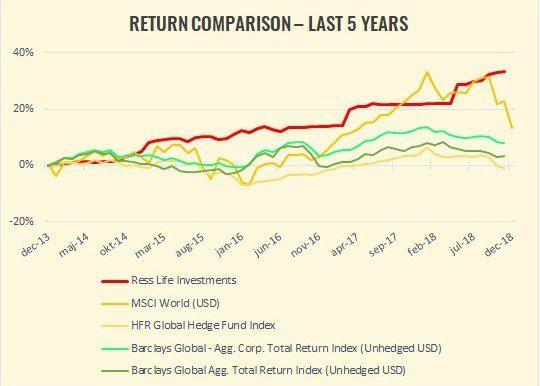 Ress Life Investments aims to provide an annual return of 7% with low volatility by investing in the secondary market for US life insurance policies. The primary strategy is to hold the insurance policies until they pay out. The secondary market offers investors the opportunity to acquire life insurance policies at a discount to face value. Resscapital has developed proprietary models for portfolio management and pricing in order to optimise returns when purchasing policies. Resscapital also collaborates with independent medical underwriters to assess longevity calculations on each policy acquired. Resscapital AB is a regulated alternative investment manager (AIFM) investing in US life insurance policies since 2011. We offer our investors attractive returns which are uncorrelated to major asset classes. The company’s focus is insurance-linked securities with an emphasis on the secondary market for US life insurance policies. Proprietary pricing models and actuarial underwriting capabilities have been developed, in order to give an advantage when purchasing policies. The management team has complimentary backgrounds and international experience from having worked at major investment banks and hedge funds. The board of directors consists of both successful entrepreneurs and senior managers with extensive experience from the financial industry. Resscapital AB manages the life insurance fund, Ress Life Investments A/S. The fund was launched in April 2011. It is listed on Nasdaq Copenhagen under Funds – Alternative Investment Funds (short name RLAINV). 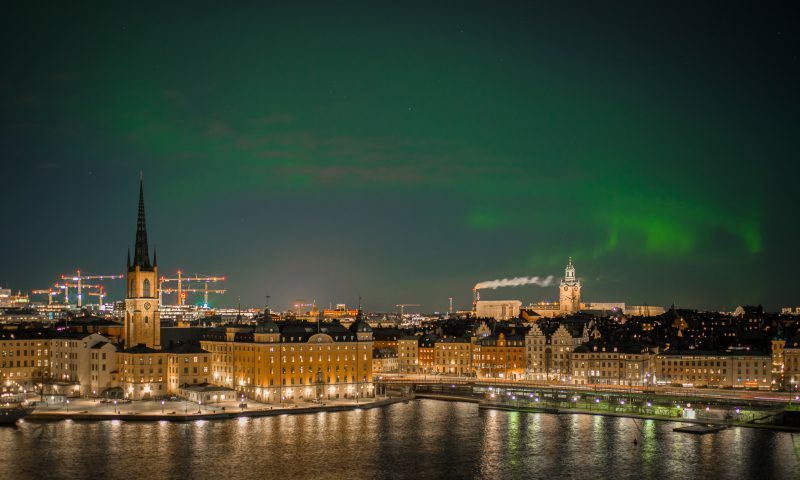 Resscapital AB is authorised and supervised by Finansinspektionen, the Swedish Financial Supervisory Authority. Read more here.